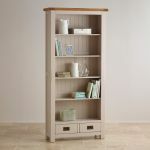 This strong hardwood bookcase will give your books and ornaments a chic home. 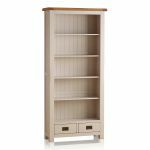 The lightness of the finish - a bright putty colour with lavender undertones - belies the solidity of the bookcase, which has two drawers at the base, made with dovetail joints and with wooden backs, bases, and runners. 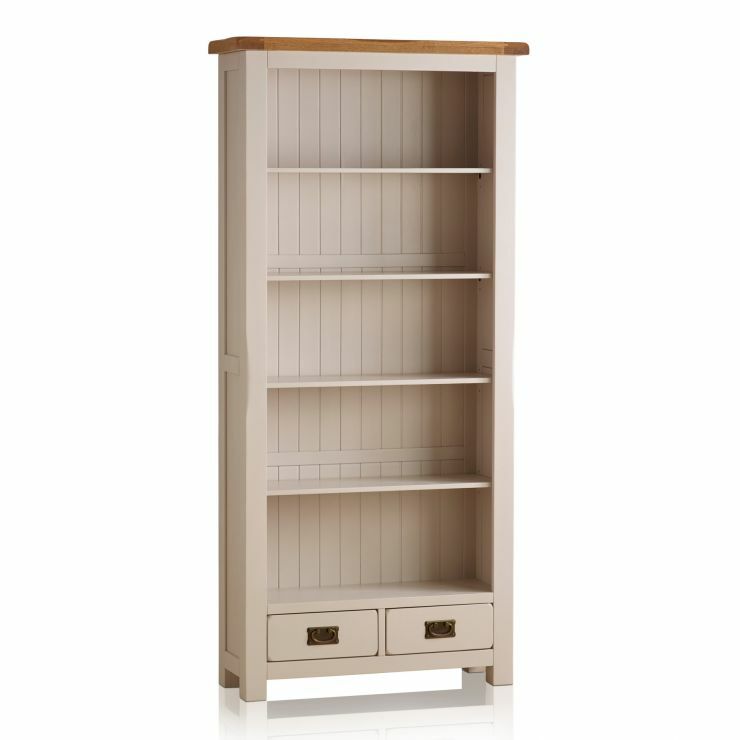 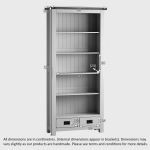 There is ample storage in this beautiful large bookcase, with 4 shelves to choose from. 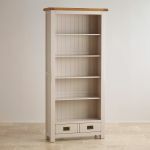 Each shelf has been manufactured from the same solid hardwood as the rest of the bookcase frame, ensuring durability. 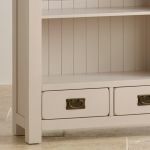 Made with solid oak tops with a 100% solid hardwood painted base you can be assured of a quality product.